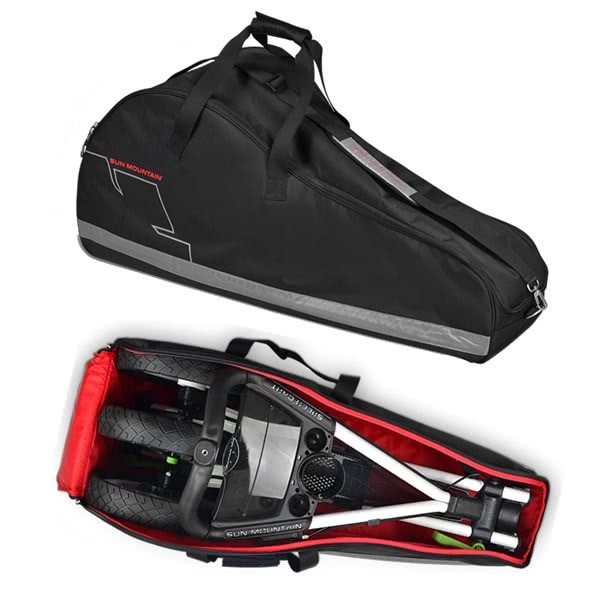 The Sun Mountain 3 Wheeled Cart bag provides the perfect storage for the Speed Cart trolley or trolleys of a similar dimensions. A large u-shaped opening with a two-way zipper makes it easier to load and unload your trolley. Sun Mountain have used a durable tough-tek fabric and reinforced it in the stress areas. The grab handles feature a wrapped grip for improved comfort and the removable carry strap is made from the same Tough-Tek lining for durability and non-slip properties. 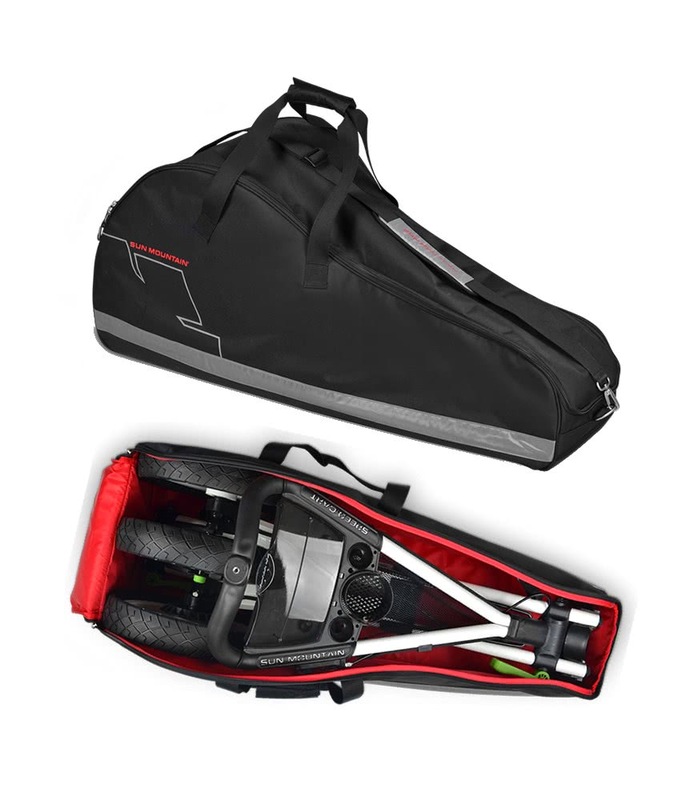 The 3-Wheeled Cart bag is suitable for carrying the Speed Cart only.